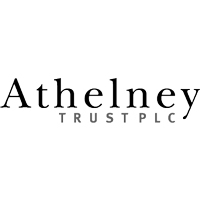 Athelney Trust plc (LON: ATY) Shareholders will be aware that prior to despatch of the AGM notice on 5 March 2019, the Company received a requisition from shareholder and former Chairman Dr Pohl requiring consideration at the AGM of resolutions that would return him and Mr Moore to the Board and remove David Lawman. Shareholders will also recall that Dr Pohl and Mr Moore were removed as directors at a General Meeting held on 22 January 2019. It is clear that Dr Pohl’s intention is to take control of the Board and return the management to the position just after Robin Boyle’s resignation. Your board considers this would not be in the best interest of all shareholders and would return the Company to a failed formula. If you are a shareholder please vote for your current board, Frank Ashton, Helen Sachdev and David Lawman and against the resolutions proposed by Dr Pohl. · As a result, Athelney Trust plc now fails Section 1158 of the Corporation Tax Act (CTA) 2010 Chapter 3 Regulation 18, as it is deemed under the control of five or fewer participators. The trading activity of Dr Pohl (who as former Chairman and MD of the company may have been aware of these regulations), created this threat to the Company’s status as an approved investment trust, exempt from Corporation Tax. Since the law changed on 1 January 2012 to be based on continuous self-assessment such a serious breach would normally result in immediate loss of approved investment trust status (and loss of exemption from Corporation Tax) for the whole of 2019. · Since January 2019, the Board was aware that five shareholders held in excess of 49% of the shares risking an accidental Chapter 3 breach. Keen to protect the interest of the majority of shareholders, the Board has explored options to reduce risk. As soon as we were aware the “five shareholders, max 50%” breach had occurred we took tax legal advice on our chosen option and can now confirm that our approved investment trust and tax exempt status is intact. · Dr Pohl’s trading actions have created yet more uncertainty and incurred further costs in time and resources for the Company. Given his position as a Director in the past we believe he should be well aware of these consequences. · Dr Pohl’s AGM resolutions return the Company to last year’s management team, Mr Moore and Dr Pohl who failed to foresee and prevent the circumstances that led to heavy cost and uncertainty for all other shareholders. · Contrary to Dr Pohl’s comments the Board continues to work effectively alongside the Company Secretaries whose experience and knowledge is much appreciated in assisting us with the current challenges. We could not have produced the Annual Report or this tax solution without mutual support. We will review all service providers regularly as most efficient companies would do, choosing partners suited to our current size. At the moment conditions make this combined team more resolute and determined to act as one in the interest of the many. · Dr Pohl’s AGM resolutions do not solve the problems – they encourage another swing of the pendulum, exacerbated by the absence of independent voices on the Board and a return to yesterday’s team. We reiterate our support for the UK-based fund management group, Gresham House, who with the continued support of Robin Boyle, we recommend will act as future Fund Managers for the Company. Given their successful track record, we believe this represents the best option for our shareholders as a whole. As an independent board of directors, we are fully committed to acting, as is proper, in the interests of all shareholders. Contrary to suggestions in Dr Pohl’s letter to shareholders, neither Frank Ashton nor Helen Sachdev have had any relationship or conversation with Gresham House prior to their appointment to the Board. However, with due diligence and given the need to return the Company to stability as soon as possible, the Board believes this is a very good partnership long term for all shareholders and might still satisfy both Dr Pohl’s and Robin Boyle’s needs. Click ATY for the full archive. 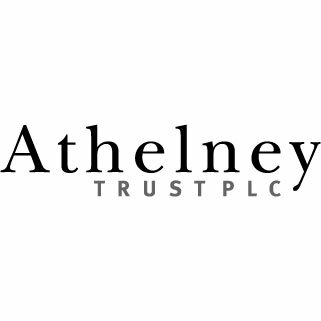 Big gains for Athelney Trust PLC and LGO Energy plc this morning.